Hall 5 (completely renovated and modernized in 2012) presents the world’s largest meteorite exhibit. There are about 1,100 meteorites on display (including 650 different meteorites, consisting of 300 falls and 350 finds), many of which are historic falls or finds (see highlights). 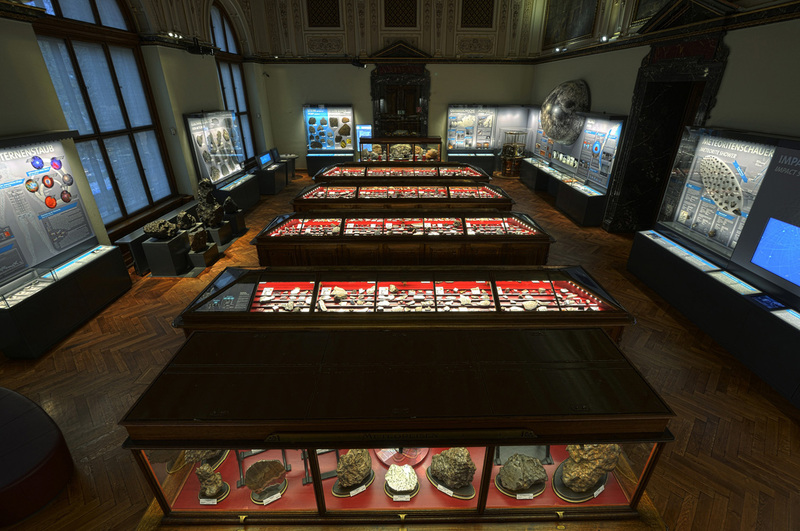 At the entrance to the hall from hall 4, a glass cabinet showcasts particularly large and important stony iron meteorites. The stony meteorite Knyahinya (weighing approx. 300 kg), which for many years was the largest known stony meteorite, is displayed in the center of this cabinet. Next to it are other stony meteorites of historical significance, such as Tabor, Stannern, Lancé, Mocs, Tieschitz, Florey, and Etter. The concept for the upgrade of the meteorite hall included the renovation of the central historic display cabinets, supplemented by new display cases and multimedia stations along the walls and in the window area. These stations concentrate on different topics and try to engage the visitor in interactive displays. 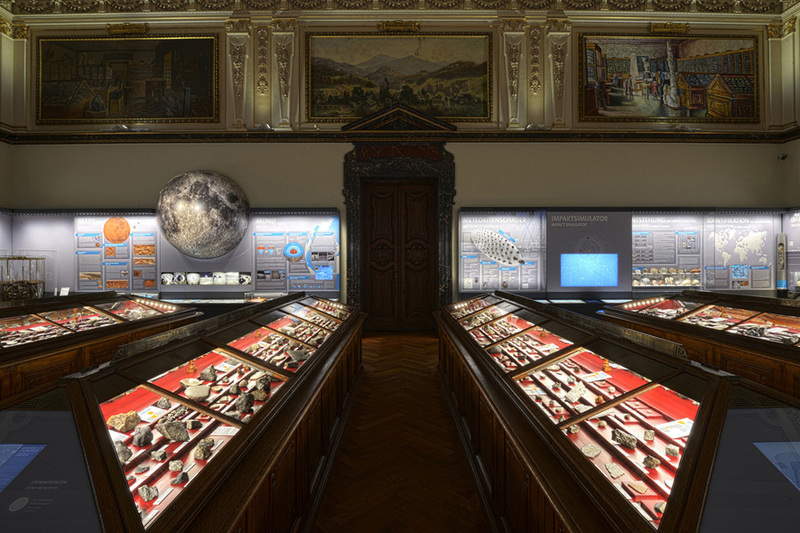 The thematic stations include a unique display of all Austrian meteorites (including the Ischgl meteorite, which was added to the collections in 2012 and is only the 7th meteorite named after a location on the Austrian territory), fossil meteorites (a unique display), as well as stations on Mars and the Moon, complete with displays of Martian meteorites, lunar rocks, and lunar meteorites. Among the newest additions to the collection is the Tissint Martian meteorite, which was added to the collection in 2012).